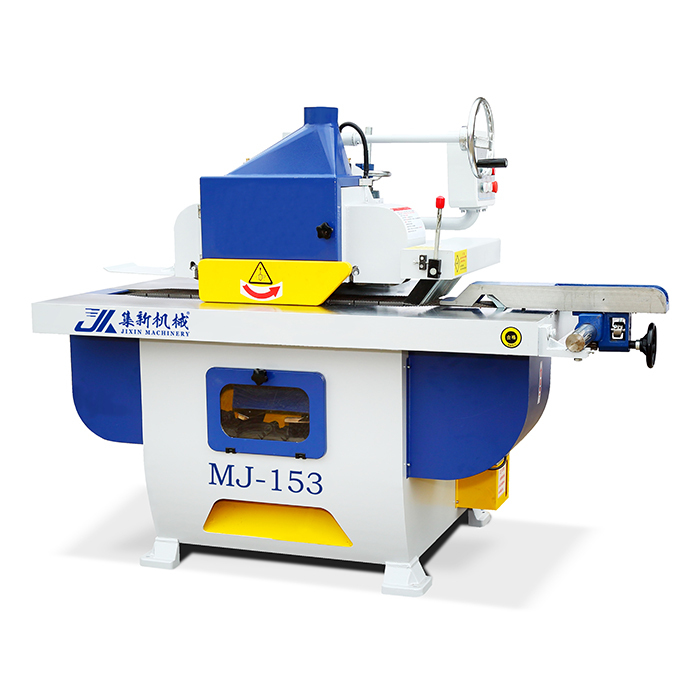 Automatic chain feeding, and set up and down anti-rebound, safe operation. Using a precise conveying chain, improve saw surface finish to saw generation shaver. 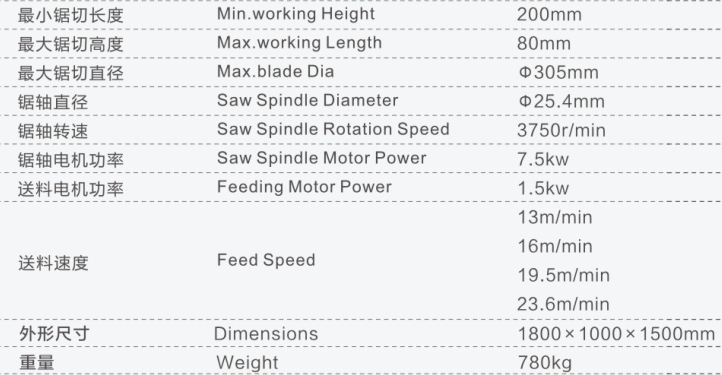 The feeding speed can be adjusted， suitable for all kind of wood processing. 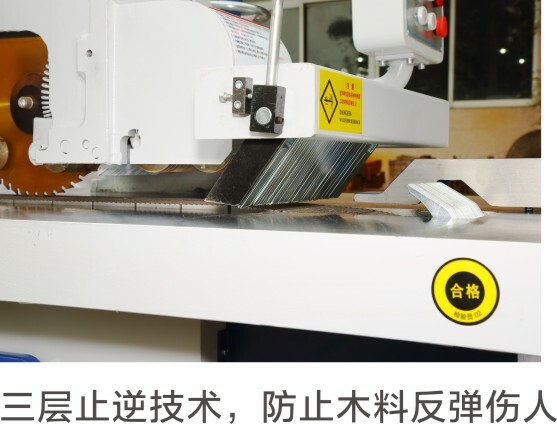 Automatic lubrication system, prolong the service life of the machine. Three layers of anti-reverse technology to prevent wood from rebounding and hurtful.